We were delighted to be appointed to work alongside Dreams following a 4 way pitch! 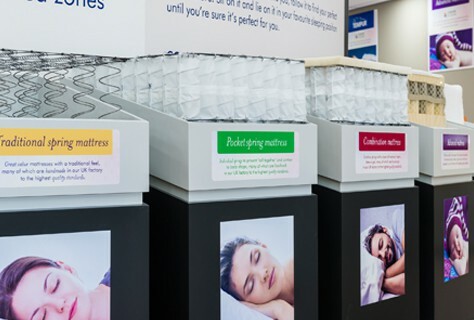 The principle aim was to create a distinction between mattresses and bed frames allowing customers to better self-shop and only rely on staff at point of transaction. Each area needed its own identity so consumers could easily navigate the store making decisions and purchases. Other key touch points around the store were highlighted by adding POS and product features and benefits became more apparent to consumers. 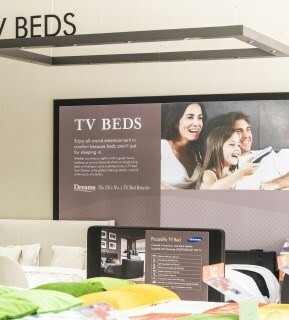 Overall the Dreams personality was used to improve shopper experience and consideration was given to floor layout and consumer journey, lighting, flooring, walls and fixtures. From a brand perspective additional navigation and signage was added and warm grey tones were added to complement the existing pink and blue brand colour palette. 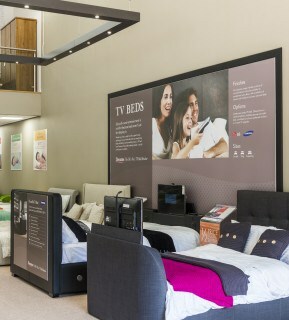 On trend room sets and promotional theatre were added to highlight key areas and promotional products. 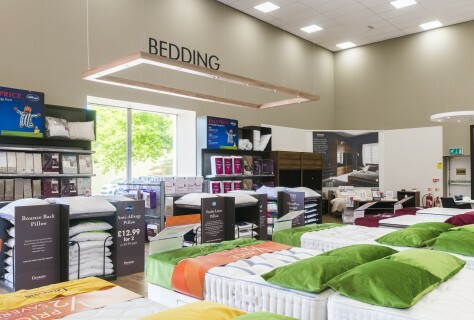 Overall the new store concept is inviting and inspiring making bed purchasing a Dream!